This is the summary of consumer reviews for Hampton Bay Altura 68 in. 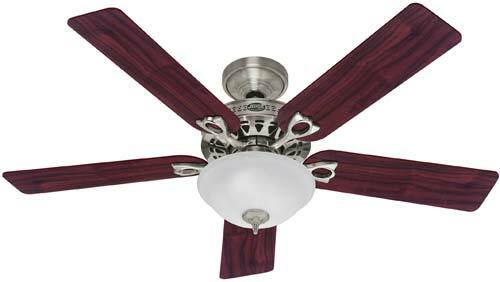 Indoor Oil Rubbed Bronze Ceiling Fan (Model: 68068). The BoolPool rating for this product is Good, with 4.00 stars, and the price range is $150.00-$249.99. 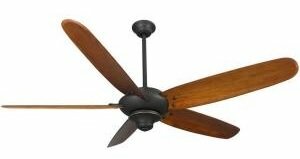 The Hampton Bay Atlura, indoor oil rubbed bronze ceiling fan, is an ideal option to circulate air in room up to 20 ft x 20 ft. 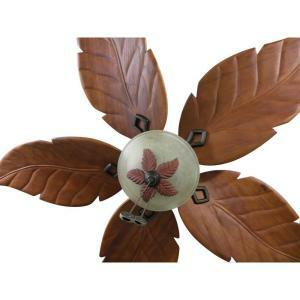 The 5 hand-carved real wood blades with slightly contrasting medium walnut and walnut finish compliment many interior accents. The large spread 68” fan blades are designed for enhanced reach. The fan is matched with a substantially large motor for increased airflow and quite performance. The fan can easily be installed in standard mount with 3 speed reversible control. The kit includes a handy remote control covering a range up to 11 feet for easy fan settings and a 18 inches down rod. The Atlura is compatible with light kit as well which is sold separately. 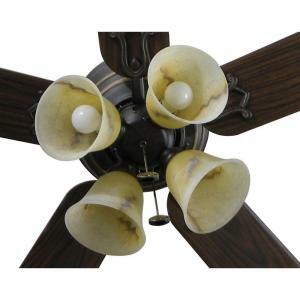 Some buyers expressed concerns that the fan makes noise on high speeds. Reviews said that there was no air movement at 6 feet away from tip of the blades. Also this fan is on heavier side when assembled fully. Overall, the Hampton Bay Atlura is recommended unit for its reasonable price and Energy Star certification which helps in cutting down the costs. The wooden feel and colors definitely gives the rustic style look to any interior. With no load (blades removed) no motor noise, fast motor speeds in all speeds. 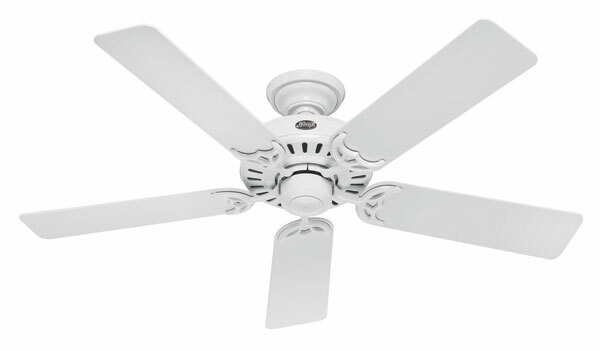 This unit operates at slower motor speeds than a "standard" ceiling fan. The motor wasn't strong enough to turn the blades to produce a decent breeze. Installed blades, motor loaded up, slowed down and noise in all settings. The first fan I bought had a problem with the motor. The fan only made this noise on high speed, so I now believe that the motor was being overloaded trying to turn the large fan blades at the highest speed. 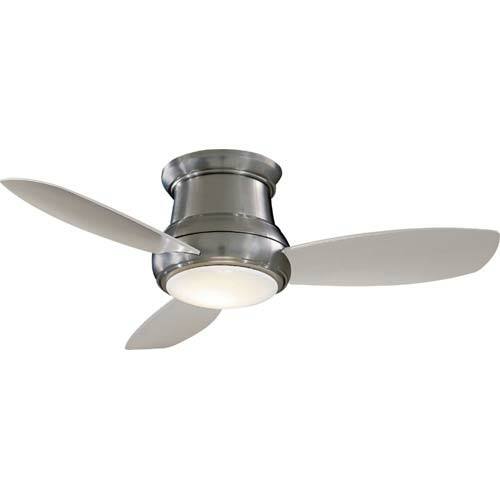 The blade pitch is more that standard fans which moves a lot of air at a slower motor speed. Selected this model of fan for use in 18' height Living Room area due to the wood blades and finish after seeing this unit in the local Home Depot. 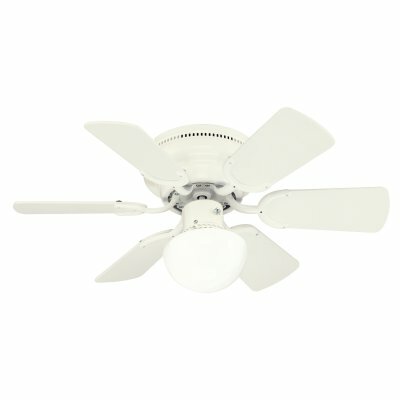 I'd to install a switch wire and an electrical box to hang the fan from my living room ceiling, but once those items were installed, installing and assembly of the fan was easy. Installed this ceiling fan in our master bedroom. It's a really nice looking ceiling fan. It was easy to install, although a little heavy, so be careful. We'd it installed in a log cabin...it looks fantastic. Not sure why some people had so many problems because it works great and it was easy to install. The blades are carved wood and look substantial. It's very nice looking and works great. Returned immediately.2nd try:The manual skipped multiple, critical steps, making the installation literally impossible, were anyone to follow the directions line to line. Installation was a snap, and the fan produces excellent air movement.Room 18X30 keeps air moving, A/C on a warmer setting..
Beautiful fan with genuine wood blades and easy to install. The large blades provide a large amount of air flow. doesnt turn real fast like a 54" fan, but with the blade design, this thing moves some air. Installed its very quiet and moves the air just fine. The top of the fan blades are only 6 inches from the ceiling when flush mounted and this negatively effects any air movement. Any of the reviewers who say there's no air movement must have installed this fan incorrectly. The remote works well, but my husband (an electrical engineer) installed a Hampton Bay wall switch also. The air movement is great and the motor is super quite. On high setting you can stand 6 feet from the tip of the blades and not feel air moving. Looks great and moves the air. Looks great in our family room!. It circulates air virus blowing air. Quiet and a good looking fan. I love this fan it's soooooo quiet and looks great in my living room. quiet at all speeds, moves air as it should at all speeds, really enhances the look of any room, I used it in a great room and it's an eye catcher even at 11 feet, remote control is the best. The air flow is good, we only ever need the low setting, we bought the light kit as well and it looks great. It moves an unbelievable amount of air and looks beautiful while doing it. This fan moves a huge volume of air at low speeds. Seems the manufacturer relied on a greater "pitch angle" for air movement while lowering the speed of blade rotation. Replaced a smaller one to move more air at lower speed. It doesn't rely on speed to move air. Love the 68" spread but that doesn't make up for poor air speed. The High speed is equivalent to a low speed on a regular ceiling fan. High speed on this fan is low speed on any other fan in our house. Perfect size, stain color and speeds. And the low speed is pitiful. Extremely slow speed even on high. Also, at times, it produces a crackling sound similar to pouring milk into a bowl of Rice Krispies. Very bazaar that is does this and I cannot correct it. due to not knowing what part of the fan is making this sound or why. It looks good, but personally would never purchase this fan again. Due to the slow speed and low volume of air movement, i would give this fan 1 star. Has anybody experienced this sound from this fan? Has anybody experienced the sounds of pouring milk into a bowl of Rice Krispies from this fan?